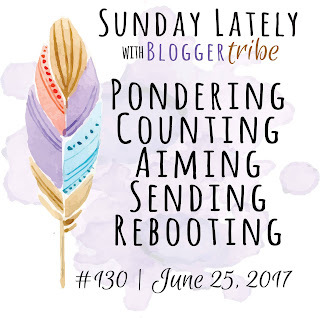 Sunday Lately | June 25th - Nekaro & Co. Here is what I have been doing this week! Pondering | I've really been thinking about what to do next with my life. I enjoyed working with the little kids more than I realized I would, but I can't wait around for a job to become available. Especially given the not so permanent nature of being a teachers aide. The school I volunteered at had to reduce it's personnel last year (3 teachers, 5 aides) so my outlook is slim. I have offered up some typography prints and other digital designs on Redbubble, but there are other paths I would like to pursue. I just need to decide which path is the right one for me. Counting | Counting down the days until we travel to visit my dad, brother, and sister-in-law in Florida! We will be leaving late the night of July 1st and driving overnight. It's about a 15 hour drive so having the kids sleep most of the way will reduce the times we need to stop. Plus Chris works third shift so he is used to being awake at those hours. Aiming | I struggle with staying active. Especially during the Summer months when the kids are out of school and I don't have the motivation to put on a bra or pants that don't have an elastic waist. I am aiming on trying to get up earlier and get a morning walk in. When working and volunteering, from March until June, I was able to lose about 11 pounds. Just from all the walking I was doing at the school. I was trying to help lower my cholesterol levels, but unfortunately even though I did lower my total number and I did lose some weight, my LDL (bad) cholesterol level didn't change. At all. Same exact number in June as it had been in March. Sending | I've been sending three postcards each week for the past couple of weeks. I even sent my first one to Maine. I haven't received any yet though. 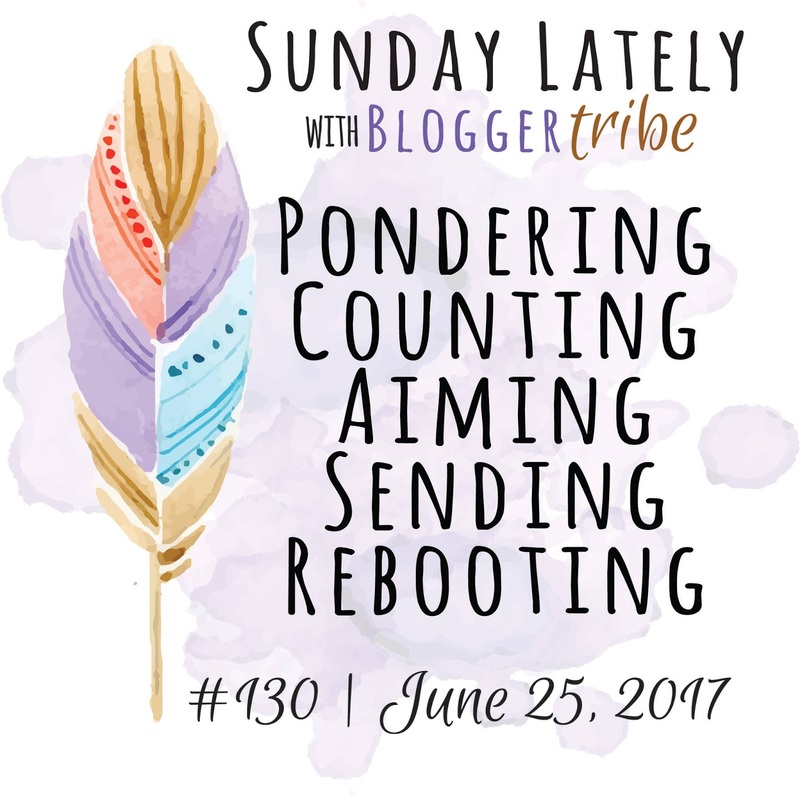 Rebooting | ... ... ... uh, the blog. I need to be rebooting a schedule too. I love my planner and lists and all things organized, but somehow I am the worst at managing my time efficiently. Watching | Dear Netflix, BRING BACK SENSE8. While I'm waiting for that to happen, I'm watching Dawson's Creek. Yes, I am really, really, late to the party here. No, I never watched it when it originally aired. Yes, the acting is horrible. Works in Progress | I still haven't finished the Flax sweater that I started for myself. Currently, I'm working on a chevron scarf with Knit Picks Felici sock yarn in Beyond the Wall colorway. Next week's themes: Questioning, Feeding, Honoring, Decorating, Leaping.